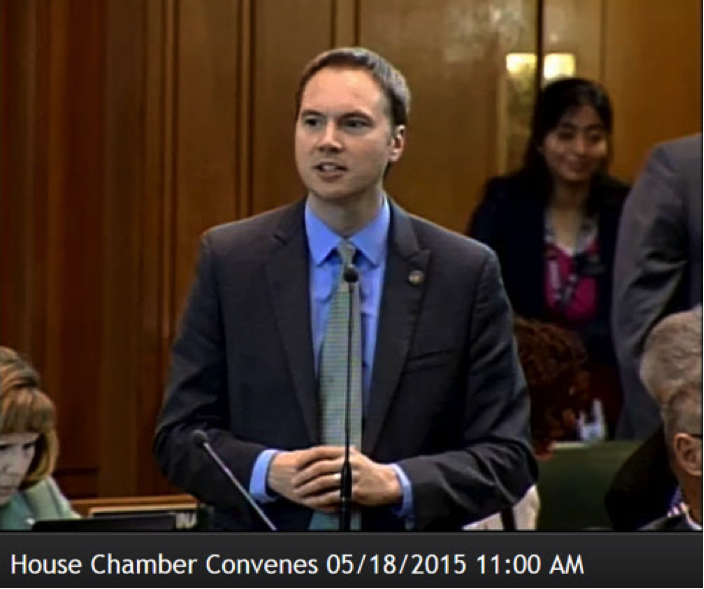 On February 27th SB 870 was introduced and referred to Rules committee making 3 separate NPV bills active in Oregon. As of March 7th none have received a committee hearing date. On January 14th 2019 HB 2578 and HB 2704 were introduced and on January 18th referred to Rules Committee. The 2018 battle in Oregon lasted till the Senate finally went sine die and multiple bills died on the senate floor. Senate President Courtney proposed an alternative bill that would have put NPV to the voters in a referendum. The proponents feared the populous would rise up if they knew what was going on and opposed. Ulitmately neither bill had sufficient votes and the NPV died sine die. On July 7, 2017 the Oregon Legislature adjourned sine die. This bill was defeated for the 2017 Session!!! On March 14, 2017, the Oregon House Committee on Rules conducted a hearing on the National Popular Vote bill in room H50 of the Capitol (status of HB 2927). Over 200 people submitted written testimony to the committee and over 30 people testified in person. On February 23, 2017, Senator Brian Boquist and Representative Brian Clem introduced the National Popular Vote bill (status of SB 823). On February 15, 2017, Representative Keny-Guyer, Senator Brian Boquist, Representative Rayfield, and Senator Taylor introduced the National Popular Vote bill (status of HB 2927). On February 1, 2017, Representative Brian Clem and Representatives Evans and Malstrom introduced the National Popular Vote bill in Oregon (status of HB 2731). A bill that would add Oregon to a national movement to reform the nation's presidential elections had its first hearing March 14 in the state Legislature, but it faces significant opposition in the Oregon Senate. House Bill 2927 would award Oregon's Electoral College votes to the winner of the national popular vote under an interstate agreement, which specifies that the bill would only take effect after states with a majority of the Electoral College have passed similar legislation. So far, 10 states and the District of Columbia have passed the bill. The bill is a workaround to the requirement for an amendment to the U.S. Constitution to abolish the Electoral College. The Constitution allows states to award their electoral votes in a manner of their choosing. Similar legislation has passed the Oregon House three times. 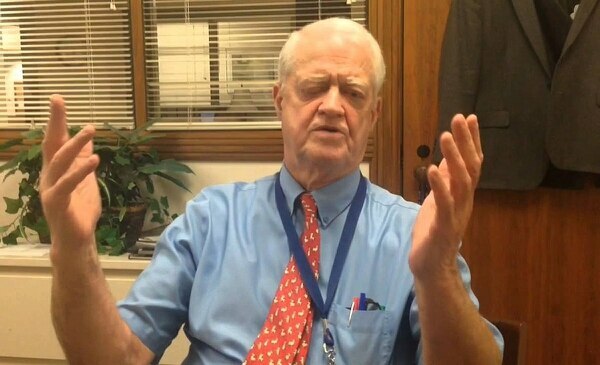 Senate President Peter Courtney (D-Salem) blocked Senate passage in past sessions and says he opposes the idea this year too. "If the House sends us the bill, we'll see where the committee process takes us," he said in a statement to WW. "Personally, I believe Oregon's electoral votes should be cast for the candidate chosen by Oregon voters. Under the national popular vote proposal, that would not be guaranteed. House Bill 2927 would effectively give away Oregonians' electoral proxy to voters in other states." Courtney's opposition poses a significant impediment to the legislation. The Senate is considering an alternative bill. Senate Bill 825 would send the question to voters in 2018. That bill might set off a costly political campaign from proponents, but it also might stand a better chance of passing. "This issue has been before the legislature for a number of years," says Senator Richard Devlin (D-Tualitin), the sponsor of the legislation. "I have been a long time proponent of the National Popular Vote […] but I believe it should be referred." Hillary Clinton won 2.9 million more votes than Donald Trump in November, but lost the Electoral College. "In another race, it might have gone another way," says Kate Titus, of Common Cause Oregon. "It's the right thing to do for democracy. It shouldn't be a partisan issue." On May 18, 2015, the Oregon House of Representatives passed the National Popular Vote bill for the third time. The bill was passed by a bipartisan 37–21 margin (HB 3475) (status of HB 3475). The bill died in the Senate, without a hearing, for the third time. In 2015, a majority of Oregon Senators (16 of 30) sponsored the National Popular Vote bill. The Senate sponsors were spread over two bills, namely SB680 (status of SB 680) and the House bill (status of HB 3475). The 16 sponsoring senators were Senators Bates, Monroe, Boquist, Burdick, Dembrow, Edwards, Gelser, Hansell, Hass, Monnes Anderson, Prozanski, Riley, Rosenbaum, Shields, Steiner Hayward, and Thomsen. On April 18, 2013, the Oregon House of Representatives passed the National Popular Vote bill for the second time (HB3077). The bill was passed by a bipartisan 38-21 margin. The bill died in the Senate without a hearing. Oregonian op-ed by former Chief Justice Paul DeMuniz favoring the National Popular Vote bill. On April 15, 2013, the Rules Committee on the Oregon House of Representatives approved the National Popular Vote bill (HB3077) by a 6–1 vote. 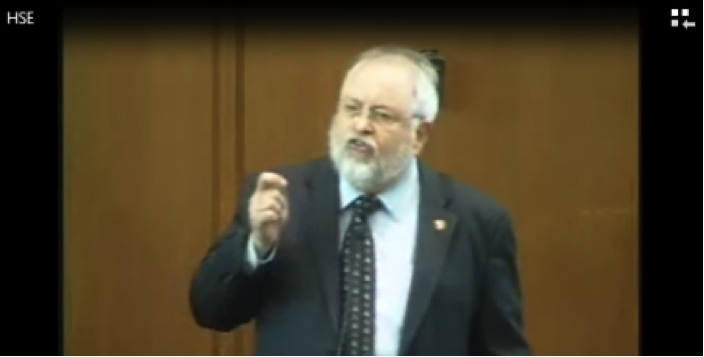 On March 20, 2013, the Rules Committee on the Oregon House of Representatives held a hearing on the National Popular Vote bill (HB3077). In February 2013, the National Popular Vote bill was introduced in the Oregon House of Representatives (HB3077). The bill was sponsored by Representatives Greg Matthews, CarolynTomei; Representatives Jules Bailey, Jeff Barker, Phil Barnhart, Brent Barton, Vicki Berger, Deborah Boone, Peter Buckley, Brian Clem, Michael Dembrow, Margaret Doherty, Shemia Fagan, Chris Garrett, David Gomberg, Chris Gorsek, Mitch Greenlick, Chris Harker, Paul Holvey, Val Hoyle, John Huffman, Alissa Keny-Guyer, Betty Komp, John Lively, Andy Olson, Tobias Read, Jeff Reardon, Greg Smith, Sherrie Sprenger, Jim Thompson, Jessica Vega Pederson, Jennifer Williamson. In addition, in February 2013, the National Popular Vote bill was introduced in the Oregon Senate (SB 624). The bill was sponsored by Senators Alan C. Bates, Brian Boquist, Ginny Burdick, Jackie Dingfelder, Chris Edwards, Mark Hass, Laurie Monnes Anderson, Rod Monroe, Floyd Prozanski, Arnie Roblan, Diane Rosenbaum, Chip Shields, Elizabeth Steiner Hayward. In February 2011, the National Popular Vote bill was introduced in the Oregon legislature (HB 3517). The bill was sponsored by Representatives Vicki Berger, Ben Cannon, and Dave Hunt as well as Representatives Jules K. Bailey, Jeff Barker, Phil Barnhart, E. Terry Beyer, Deborah Boone, Peter Buckley, Brian L. Clem, Michael E. Dembrow, Margaret Doherty, Chris Garrett, Mitch Greenlick, Chris Harker, John Huffman, Betty Komp, Greg Matthews, Mary Nolan, Tobias Read, Greg Smith, Jim Thompson, and Carolyn Tomei. The bill was also sponsored by Senators Alan C. Bates, Brian Boquist, Chris Edwards, Mark Hass, Rod Monroe, Diane Rosenbaum, Chip Shields, and Chris Telfer. On March 12, 2009, the Oregon House of Representatives passed the National Popular Vote bill (HB 2588) by a bipartisan 39-19 margin. The bill died in the Senate without a hearing. In February 2009, the National Popular Vote bill was introduced in the Oregon Senate (SB 885). The bill was also introduced into the House of Representatives (HB 3517). On February 20, 2009, the Rules Committee of the Oregon House of Representatives held a public hearing on the National Popular Vote bill (HB 2588). Oregon Secretary of State Kate Brown submitted a letter in support. On February 6, 2009, the National Popular Vote bill (HB 2588) was introduced by Representatives Ben Canon, Tim Freeman, and Dave Hunt and co-sponsored by Representatives Jules Bailey, Jeff Barker, Phil Barnhart, Vicki Berger, Scott Bruun, Peter Buckley, Kevin Cameron, Michael Dembrow, Chris Edwards, David Edwards, Larry Gallizio, Bill Garrard, Chris Garrett, Vic Gilliam, Chris Harker, Nick Kahl, Betty Komp, Greg Matthews, Tobias Read, Chip Shields, Greg Smith, Jefferson Smith, Jim Thompson, and Carolyn Tomei. 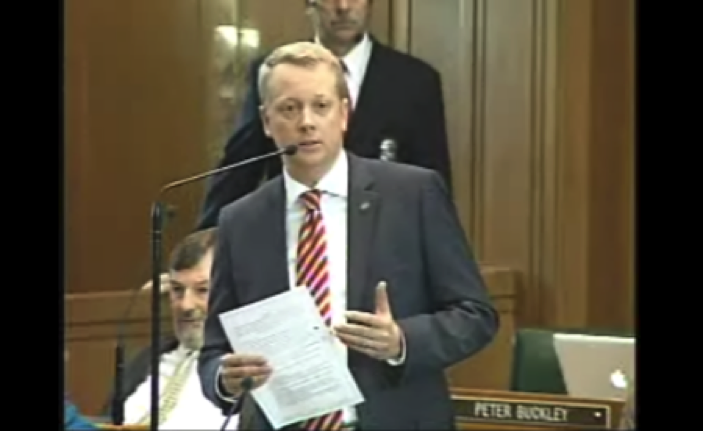 The bill (SB 732) was introduced in the Oregon Senate by Senator Bill Morrisette and Rod Monroe, and also by Senators Brian Boquist, Diane Rosenbaum, and Vicki Walker.